We spent Labor Day weekend at New York City’s massive electronic music festival Electric Zoo at Randall’s Island. We caught up with some of the DJs and performers, including the newly reunited duo Gabriel & Dresden, legendary progressive house producer, DJ, and label owner John Digweed, rising Swedish DJ and producer Alesso, beatboxer and electronic musician Beardyman, among others. They share their advice for aspiring DJs and producers looking for a successful career in music. 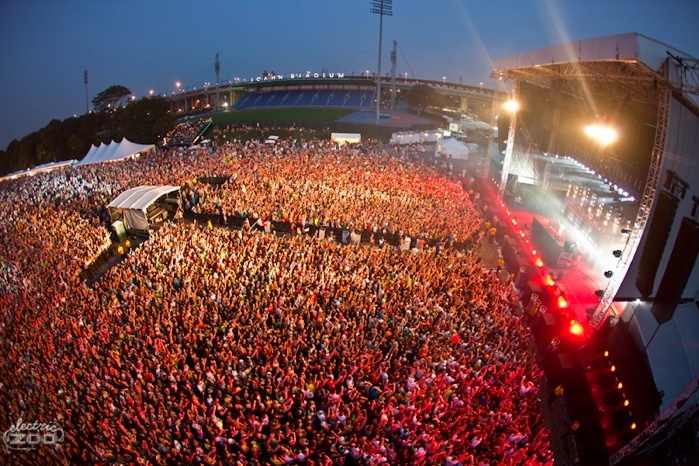 Electric Zoo is a three-day festival held in New York celebrating electronic music. This year’s event drew over 85,000 attendees throughout the weekend. The festival kicked off with a serious bang on Friday is superstar trance DJ Tiesto, and was followed by unforgettable sets from Richie Hawtin as Plastikman, Carl Cox, Rusko, and Egyptrixx. 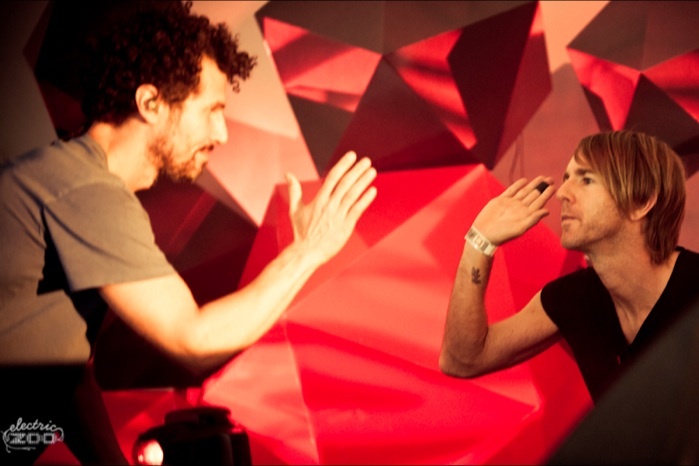 Saturday saw recent pop co-opt David Guetta at the throne, with Bloody Beetroots, Danny Tenaglia, 12th Planet, and SBTRKT. The last day of Electric Zoo featured headliner Armin Van Buuren, Boys Noize, Afrojack, Diplo, and Nicolas Jaar—the last of whom has one of the best albums of the year with Space Is Only Noise. Check out exclusive highlight photos at Made Event. For his Plastikman set, Hawtin will lead a truly unique experiment into audience participation. Alongside developer RJ Fischer and Brian McDade, Hawtin created an iPhone and iPod Touch app called SYNK, that allow the audience to manipulate aspects of his set. In addition to his tech-savvy performance, Hawtin created all the visuals himself. This festival seems to the best one… Crowd also is huge…. People must have surely enjoyed this festival…..